Option 1: Roundtrip Train Ride from West Palm Beach on April 27th – $30 per adult, $15 per child Option 2: Roundtrip Tran Ride from Fort Lauderdale on April 27th – $20 per adult and $10 per child Option 3: Tickets for Miami guests are $20 per adult and $10 per child (ages 2+) and include access to the exhibit and event on April 27th in Miami and train credit to use for a future ride on Brightline! 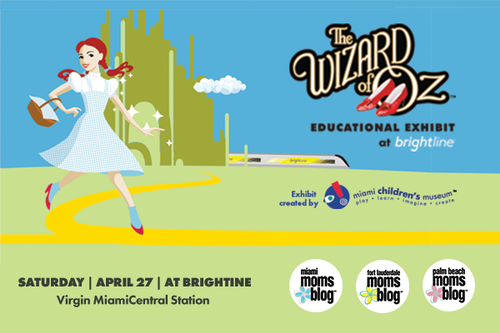 Miami Moms Blog & Brightline invite you to enjoy brunch with Dorothy & Friends at The Wizard of Oz Educational Exhibit. Bring your camera for Instagram-worthy photo opportunities with the Wizard of Oz characters. Children of all ages (including you, Mom!) will receive a guided tour of the educational exhibit to learn about the magical land of Oz! 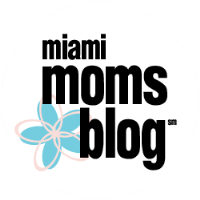 Various arts and craft stations will be set up throughout the exhibit to engage children in fun learning experiences like creating “Wicked Witches Slime.” We are teaming up with our Sister Sites Palm Beach Moms Blog and Fort Lauderdale Moms Blog. So tell your friends who live north to catch the train for this outstanding event! Miami guests will have the opportunity to redeem their ticket for credit towards a future train ride. Experience the excitement of Brightline as you introduce your children to train travel!